Successful property design is about far more than just thinking about ROI (return on investment). No matter how stunning a building looks from the outside, it must also fit in with the local environment and complement its surrounding natural beauty. When Fortitudo Property was tasked with creating a new vision to redesign the Salterns Marina in Poole, we worked hard to come up with the resulting design that also protects the natural habitat of the historic harbour area. Back in 2014, the trustees of Salterns Marina asked us to provide a new vision for the entire site. It was the first major investment into the area since it was created in 1974. Although the trustees had received various redevelopment ideas over the years, nothing had hit the mark. They were generally considered too ambitious and out of keeping with the area and rejected. Our first idea was to replace the hotel, and as we worked our way through the outline of our vision, it became clear that substantial funding was needed. This could only happen by developing residential space. This led to our subsequent application for a brand new mixed-use building. 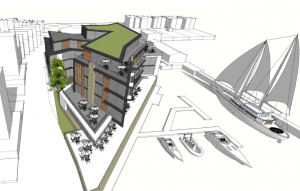 We were granted planning permission on this, and submitted a further application for the hotel to be in one building, and the Marina businesses and residential units to be in another. This was also granted, as it was a solution that would provide increases in domestic and business rates locally. The project value is £100 million and final approval was granted last June. As well as increasing rates for the local borough, the project will benefit other living spaces in terms of flood proofing. This is due to the £8 million going on a new sea wall. Designing homes is always challenging. The team at Fortitudo Property takes pride in offering solutions that work for a market place where house prices rise faster than wages. We are always working for the best way to keep everything in balance – the investors, the people who will rent or buy the property, the area in which they are situated and the surrounding environment. When we are working on a new plan, we don’t just inspect the proposed land. We take the time to research the surrounding community and the wider area. This research helps us to understand where future popular locations will be as well as consumer trends that dictate the future of the market. The key is to create opportunities that people will love, before they’ve even realised that they need it. Developers and designers must be committed to sustainable development. Housing and commercial property that is built today shapes our environment in the future. Well designed schemes should respect the landscape setting and the local environment. Everything from the layout, form and shape of the development needs to be considered, as well as its visual impact on the surrounding area. Materials, colours and textures should complement development in the area. Also important is how the visual impact of the development can be seen from major rail and road routes. With companies, developers, planning authorities and individuals working together, housing and commercial developments can maintain and enhance the environment. 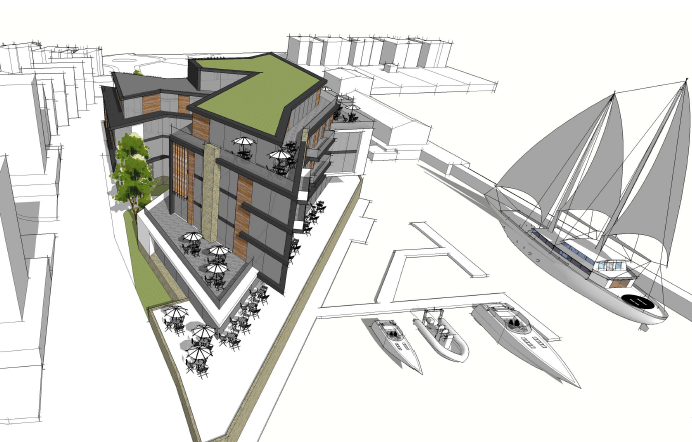 This entry was posted in Housing Planning and tagged Design, Fortitudo Property, Richard Carr, Salterns Marina by Richard Carr. Bookmark the permalink.